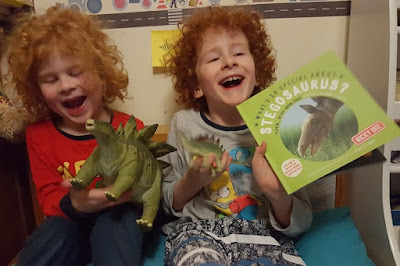 A while ago we were introduced to a brand new series of dinosaur books "What's So Special About...Dinosaurs?" written by Nicky Dee. 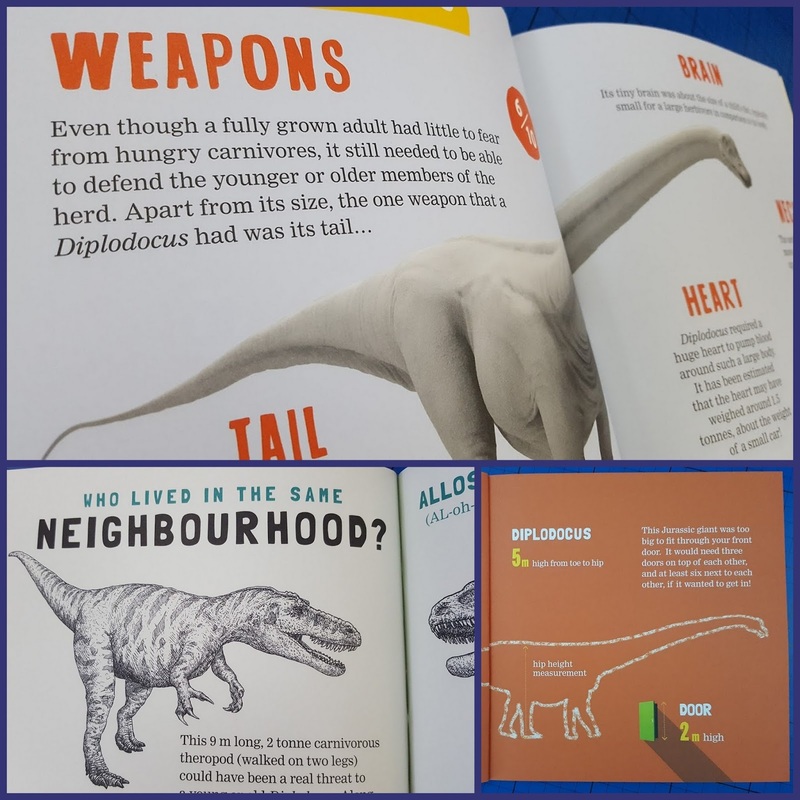 The books are advised by the award-winning Palaeontologist Dean R Lomax and present interesting dinosaur facts in a really visual way. We've been sent two of their latest releases - What's So Special about Megalosaurus? 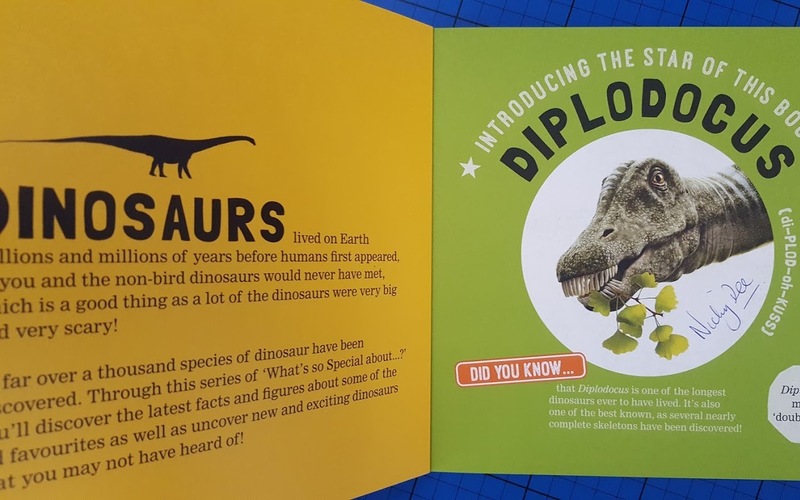 and What's So Special About Diplodocus? for review. What's So Special About Megalosaurus? is a great introduction to one of the largest middle Jurrassic period dinosaurs. 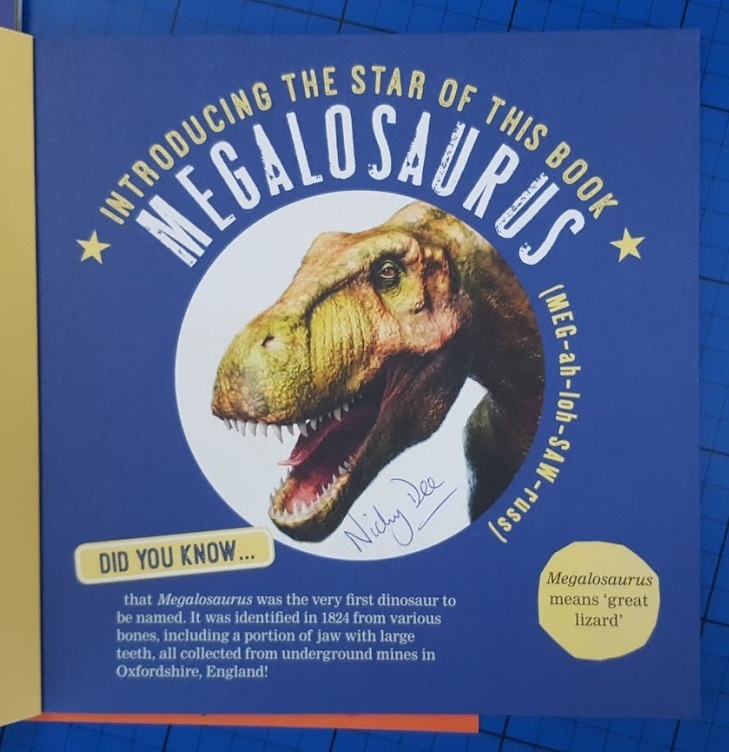 The first dinosaur to be named, he was initially discovered right here in the UK, in Oxfordshire. All of the dinosaur images are really detailed and bright, real 3D models are made to create a big double page image in the centre of each book. Throughout the dinosaur pictures stand out incredibly well against the muted backgrounds and text. It brings the dinosaurs to life, and gives them personality. 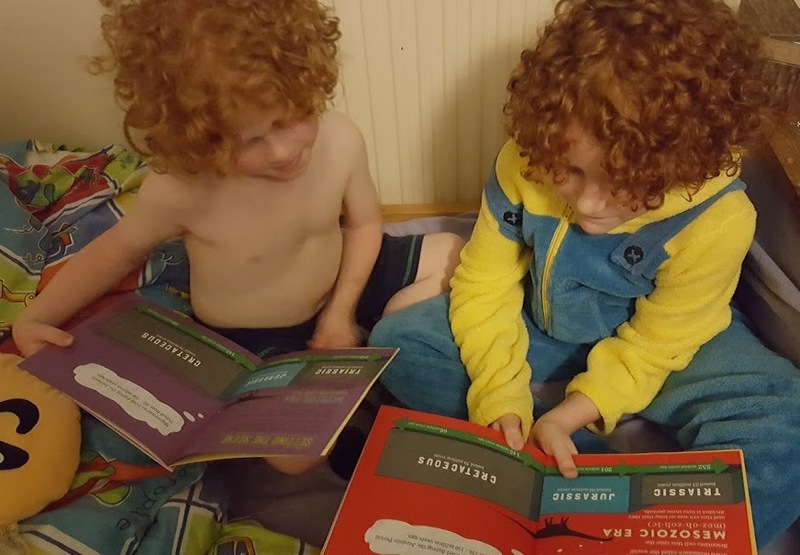 There are plenty of words in these 32 page books, but the way it's presented is really easy to access for any child of around 7+, including reluctant readers. There is great use of imagery and different fonts and styles to keep interest and draw you into the next fact. My 6 1/2 year old can now read these books to me pretty fluently with just a bit of help with pronunciation and explanation of new words. What's So Special About Dipodocus?, and all of the What's So Special..? 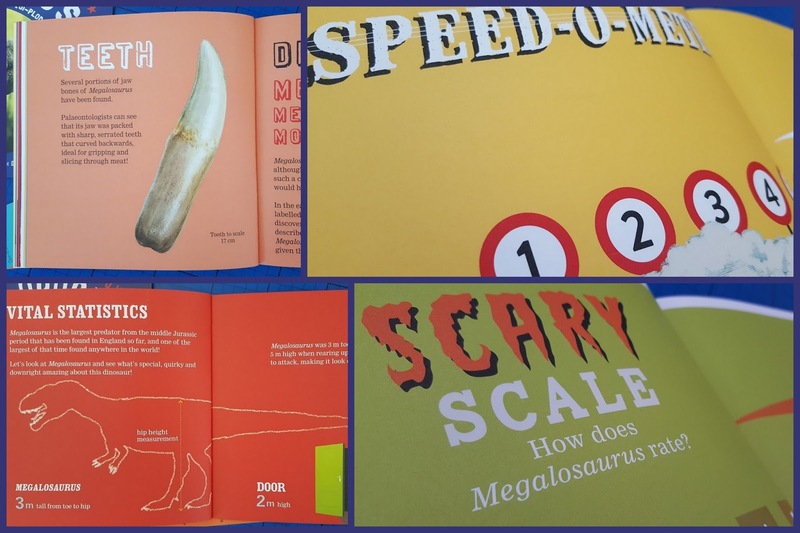 dinosaur books have pages showing the size, speed and ferociousness of your dinosaur. Among other things you also find out where they lived, and who with, what they ate and how they rated for intelligence. To accompany the books, there is a fantastic website which anyone can use at Special Dinosaurs. You'll find all kinds of dinosaur information, games and competitions that are designed to help children and parents expand their dinosaur knowledge. There is also a look behind the scenes at the making of the 3D models used in the books, and how the illustrations were created. 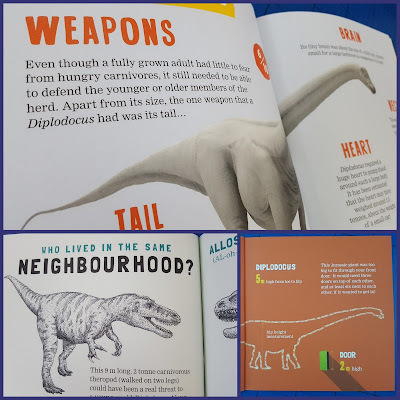 We think these books are brilliant, and our favourite facts are where the dinosaur's remains were found, when and by whom, as well as comparing books to find out which dinosaurs lived at the same time, and how long they lived for. The What's So Special About...? 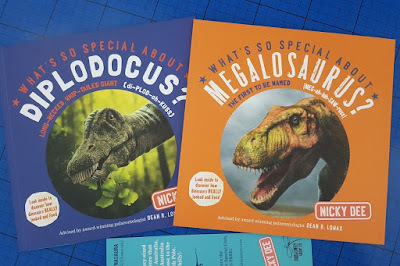 series of dinosaur books are published by Dragonfly Group, have 32 pages each and an rrp of £5.99.There are around 8 currently and more planned, including some great dinosaurs such as Coelophysis, Triceratops and Ankylosaurus and the brilliantly named Leaellynasaura! Available at all good bookshops, including online at Amazon. We've also reviewed What's So Special About T-Rex? and Stegosaurus?